For over 20 years we have specialized in religious group tours that inspire and allow for great group travel experiences. Take advantage of our expertise and ability to tailor your trip specifically to your group’s interests as you enjoy some of the world’s most amazing and beautiful religious sites. Choose from a selection of group itineraries that include Ireland, Britain, Continental Europe, South Africa, and South America. The Catholic landmarks of England are a precious and unique part of its national heritage. On this tour opportunities abound to learn about England’s history and stunning architecture, to appreciate the beautiful English countryside, or to enjoy a moment of quiet reflection in holy spaces visited by the faithful for hundreds of years. This comprehensive tour covers all of the most important pilgrim routes and locations, including Fatima, Santiago de Compostela, Madrid, Lourdes, Turin, Venice, Assisi and Rome. Finish the tour with three nights in Rome, including visits to the Vatican Museum, Sistine Chapel, and Trevi Fountain, as well as a Papal audience when available. Ireland is known as the land of saints and scholars. 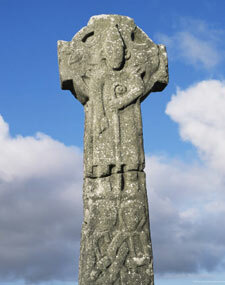 This tour features a mixture of pre-Christian and early Christian Ireland. From the Rock of Cashel, the ancient crowning stone of Irish kings, to the holy mountain of Croagh Patrick; from St. Kevin’s bed and tower in Glendalough to the Book of Kells, an illuminated manuscript containing the four Gospels transcribed by Celtic monks around 800AD, there is plenty to enthrall and enjoy. Together with spectacular scenery, opportunities to meet the locals, and the comfort of staying in deluxe hotels, you will enjoy an informed, educational, and worthwhile learning experience on your tour of Ireland.